Love the rug! Just what I wanted! Matches our other rug beautifully but beware that you need to purchase a good pad that grips your floor as this rug may slide otherwise. Beautiful rug, soft and certainly lightens the room. Love this rug! Lovely rug! Very soft material with great color combinations. You’ll not be disappointed! The colors are subtle and the texture yummy. I love it. Love, love, love this rug! It is more beautiful in person than the screen. The mix of different textures and colors is beautiful! I loved it so much I decided to get a bigger one and put in my living room. 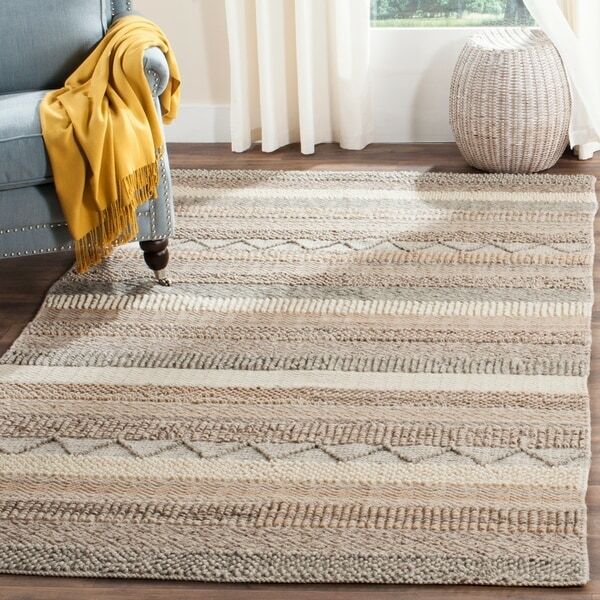 This is a great neutral rug with a little bit of a pattern that goes well with both a traditional or modern decor. The texture is varied, soft under the foot but not fluffy. I got it to replace a jute rug for something a little more cozy and I’m very happy with my purchase. Love this rug absolutely beautiful! I’m in love with this rug!!! I love the design, it’s super cute, & soft on the feet! :) it was exactly what I was looking for and so reasonably priced. Plus super fast shipping! Nice rug! As described. Works perfectly in my living room. Beautiful rug. Well made. Returned it however. Went with a different look in the room.